The Ferndale, Michigan Police Department is celebrating their 100-year anniversary on Friday, August 17 from noon to 5 pm. "We will have special displays of artifacts and equipment at the 18th Ferndale Emergency Vehicle Show. 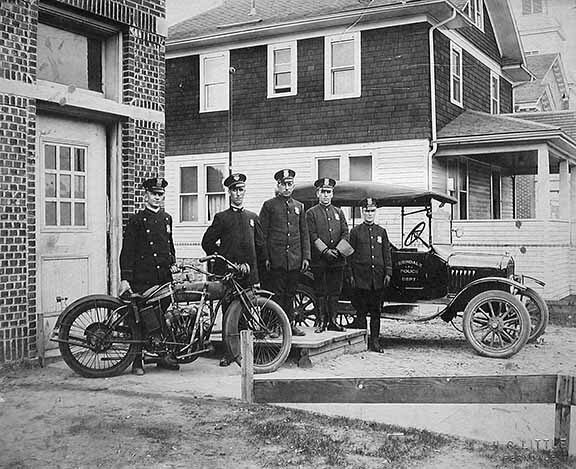 As part of the show we would like to include a 1919 Model T to be on display as a representation of our first police car, put into service in 1920, along with 2 existing motorcycles. We are looking for a 1919 Model T owner from somewhere near Ferndale/Detroit area who would be willing to park their car in a secured display area as part of the show. We are hoping to recreate the vehicle in the picture shown, along with either magnetic or low adhesive lettering identifying the car as a Ferndale police car. If you own a 1919 Model T, similar to the one pictured here, and would like to assist the Ferndale Police Department in our 100 year anniversary celebration, please contact Sergeant Baron Brown at 248 584 2595. We can assist you in the transportation of your vehicle to the venue and you are welcome to be a part of the Lights & Siren Cruise that will take place immediately following the Official Ribbon Cutting Ceremony at 5.00 pm. Our celebration is part of the Woodward Dream Cruise, the world’s biggest cruise event with over one million spectators amassing along a 30 mile route to view hotrods, antiques and classic cars ranging from Model Ts to modern Teslas. The event has it’s humble beginnings in Ferndale, Michigan as a way to raise money to rebuild a soccer field. We greatly appreciate if an MTFCA member could help us!"